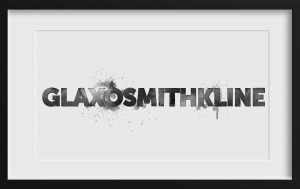 Pharmaceutical giant GlaxoSmithKline has been named and shamed by the Forum of Private Business for increasing supplier payment times from 60 days to as much as 95, depending on the date invoices are received. The company – the world’s fourth largest pharmaceutical producer – is part way through informing its suppliers of the changes. The action means GSK enters the Hall of Shame to join the likes of Sainsbury’s, Dell, Argos and Carlsberg, who have all previously increased supplier payment times retrospectively. Forum spokesman Robert Downes said: “When suppliers receive a letter like the one GSK’s suppliers are starting to receive, few have any choice but to agree to the new payment terms. There is little room for bargaining through fear they will lose the business, and no small firm wants that in the current economic climate. “For the sake of small businesses and the economy, the Government must prioritise tackling the culture of poor payment, addressing the bully boy behaviour of these bigger companies. He added: “What makes the GSK case all the worse is the sheer size and profitability of the firm – the fourth biggest pharmaceutical company on the planet. This is not a business struggling to make its way in the world. “It is, however, a company concerned only with boosting its own profits whatever the cost to smaller firms, and has scant regard for the consequences of its actions. “Most people will see this as the worst type of corporate greed imaginable. “GSK can’t even argue they’ve not got past form. Only two years ago they increased supplier payment terms to 60 days, and now this. They are relentless. “Of course the problem is that when lesser companies see the example being set by the likes of GSK and other household names like Sainsbury’s, then they think it’s OK to do the same. “It’s not, it never will be, and it’s high time big business started treating the army of small businesses who supply them with some respect. Prompt payment is not too much to ask but can make all the difference for struggling small firms. “In the meantime, we will continue to give small firms a voice by holding slow-paying firms to account publicly in our late payment Hall of Shame,” he said.